Allen Toyota is a new and used Toyota dealership in Gulfport, Mississippi that has been serving the nearby areas of Biloxi and Long Beach for more than thirty years! If you're a driver that is looking for a reliable mode of transportation that boasts a competitive price tag, head to our family owned dealership to learn all about the Toyota lineup. We have an array of options to explore so that you're sure to find the ride that satisfies your on-road needs! We also offer extensive business hours that ensure you can find a convenient time to drop by and we've made a range of informative resources available right here on our website. Looking for a new car to purchase and not completely sure what kind? Experience the luxury of your Toyota car rental without any of the risks, so you can be sure to select the vehicle that's best for you. Give us a call at (228)273-4442! Here at Allen Toyota, we enjoy a fully stocked inventory of new Toyota models for sale, so contact us about the Camry or Prius you're in the market for! 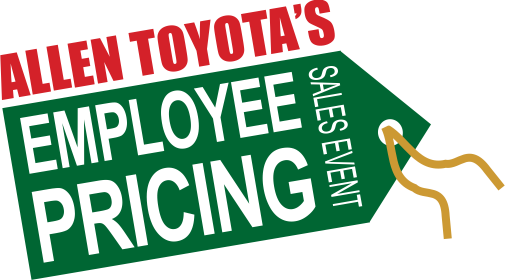 Our knowledgeable team members are up-to-date on all of Toyota's technological advancements and will gladly review the features that come standard as well as the comprehensive ToyotaCare plan that comes complimentary with your purchase. Learn about the different offers and incentives we have taking place right here on our website before making your way over to our Gulfport, MS location and be sure to ask us about the non-factory Limited Lifetime Warranty we offer! If you're searching for an affordable vehicle that boasts the quality of a new model, shop our dealership's pre-owned inventory now! We have a wide array of models to explore from the Toyota brand, as well as other auto manufacturers. Talk to us about the inspection process each of our used cars must endure and about how you can trade-in your current vehicle and upgrade to one of our sleek rides today! We'll happily get you set up for a test drive so that you can experience the quality of our certified pre-owned inventory for yourself. Our new and used Toyota dealership's finance department is standing by, ready to assist with your RAV4 auto loan request! We provide assistance to drivers with no credit, less than perfect scores and pristine ratings, so don't hesitate to send in a completed Toyota loan application via our website today! We'll be in touch shortly to discuss the options that are available to you and your unique situation. When the time comes for a Corolla tire rotation, oil and filter change or even windshield wiper blade replacement, the factory trained technicians over in our service department are here for you! Check out our current special offers before using our online form to schedule your service today. Our Toyota staff only uses genuine parts and accessories so that you can be sure your vehicle can maintain its factory standards. If you're looking for a team of Toyota professionals and a dealership that offers a range of impressive amenities like a comfortable customer lounge, complimentary beverages, and free Wi-Fi, you're looking for Allen Toyota in Gulfport, MS! Contact us (228)273-4442 for a personalized shopping plan today!